The ancient Egyptians not only worshipped animals they admired but also those that they feared greatly. As a result, their pantheon consisted of innumerable feathered and furry creatures – each a divinity in its own right. Wepwawet, a prominent wolf or jackal-deity dating back to pre-dynastic times held pride of place in the Egyptian religious order. The ubiquitous and regular representations on a range of royal objects bear testimony to his intrinsic association with pharaohs down the millennia. Wepwawet, whose very name means ‘Opener of the Ways’, essayed many roles and was venerated not merely as a funerary god, but also as one who assisted the king when he celebrated the Heb Sed and in warfare too. 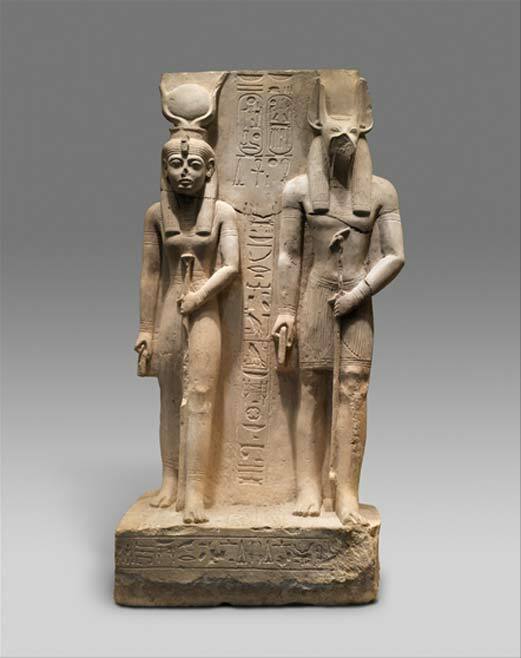 The Royal Scribe and Overseer of the Granaries, Siase, dedicated this limestone statue which represents Isis, his patron goddess, and Wepwawet, the local god of Asyut where the statue was made. Its fine but rather provincial style is the work of sculptors who were somewhat removed from the mainstream of the royal workshops. Reign of Ramesses II. Metropolitan Museum of Art, New York. From time immemorial, canid deities dominated the iconographical landscape of various types of monuments throughout ancient Egypt, and were featured conspicuously in tombs, on funerary goods, and offering stelae – among other modes of representation. 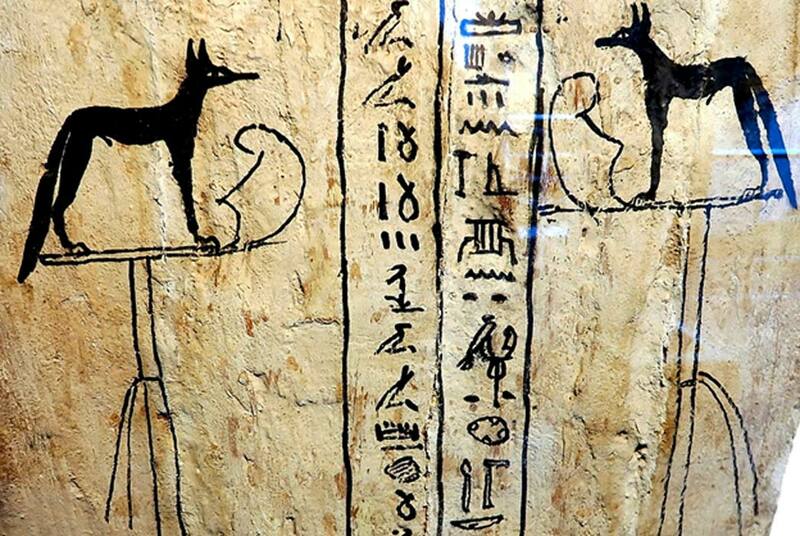 Wepwawet, his son/sibling - the popular jackal god Anubis - and Khentiamentiu hold pride of place in this regard; but was Wepwawet a wolf, dog, or jackal? At the dawn of Egyptology, early scholars misidentified the species to which Wepwawet truly belonged. How did this confusion arise?